Take your travel business online and sell multiple travel products under one roof directly to consumer. It is always good to have your website at the highest level. Whatever be the industrial background, you always need to have an online footprint to elevate your business to a new level. This is where the techniques of rejuvenating your website come in, in order to make your website digitally famous. We at Technoheaven, have a team of streamlined professionals dedicated for their uniqueness in providing Website Designing, Software Development, Ecommerce Solutions, Email Marketing along with Pay Per Click and Search Engine Optimization services for the highest ROI out of your website. We deliver excellent services from project analysis, effective project management, project betterment and project distribution. Get advice on our IT solutions and guarantee your business growth. We offer highly comprehensive array of web related services for travel agencies, tour operators and OTAs. We believe in customized approach to fulfill our clients’ requirements and hence each of our products and services reflects its uniqueness to the optimum extent. Distribute your travel products across the globe through your sub-agent network and increase sales of business. Custom built Mobile apps for android and iOS platforms that let your customers book their travel deals from any devices. Flexible tour operator software for travel agencies and tour operators to automate their business process and enhance customer services. We provide professional search engine optimization services to help you reach global clients and strengthen online. Our existence is fully based on the recommendation of satisfied clients, and we feel proud on our efficiency only when people include us in their chat and express their suggestions for us. We focus on their individual suggestions and try to upgrade us accordingly to fulfill their demand and need. Our exclusive offers include expertise in technical skills that can please our customers and can astonish our rivals. We analyze our client’s business aspects and offer them tailored solution to meet their business need without preference. We are devoted to enhancing our customer satisfaction by a supply of quality services and cost-effective solutions. We always focus on delivering flawless solutions, on time and at a competitive price. Rayna Tours and Travels is one of the UAE’s leading travel companies turned to the implementation of Techno heaven’s solutions and further formed a perfect base to improve the consistency and quality of delivering as well as managing the RTT’s products and services. Malaysian leading DMC and Touroperator, specializing in serving the Middle East Market to excellence and their world class service. Technoheaven’s diligent and cumulative workforce implemented a top notch technological solution for Hotels, Tours, Packages and Transfers all in one platform. BedLinker Vietnam’s emerging B2B Travel portal also B2B Hotel Distribution Manager. 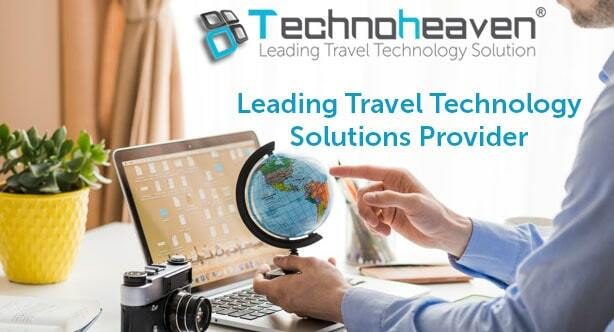 A travel technology solution for its partners including travel buyers and travel supplier to get connected online, efficiently and professionally in global travel trade. Iran's largest online platform for booking attractions, tours, and activities in Iran. The travel website developed for effortless and dynamic approach to provide best travel activities booking. Technoheaven enrich the consistency and quality of website carefully for selected designed to ensure that it only offer you the best outcome. Imonholidays, Indian based tour company offers packages, visa, hotels, and tours around the world. IOH enhanced their user experience using our B2C booking system and experienced a drastic reduce in time required to handle customer’s request.